Whiter teeth and a brighter smile in under 30 minutes. Pola Office+ ensures maximum comfort during and after treatment. Because the Pola Office+ treatment takes under 30 minutes, it means less discomfort and lower sensitivity for you. The actual procedure should be completed in under 30 minutes, and is performed by your dental professional. Take and record the shade of your teeth with you. 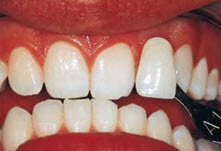 A hydrogen peroxide gel is applied to each tooth. Dr. Satwah will repeat Steps 3-5 about 2 to 3 more times. 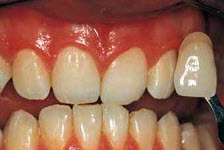 You will be asked to look in the mirror at your whiter and brighter teeth. Call our Kendall Park cosmetic dental office @ (732) 422-7777 for more information or to schedule your appointment for Pola Office+ teeth whitening.